Healthy couples understand that expressing needs in a relationship is imperative. Without open communication, partners can feel as though their lover doesn't understand them or care about what makes them happy. In reality, the partner just doesn't know exactly what his or her lover really needs. It can be difficult sometimes to express your needs to your partner. You don't want him to feel as though he hasn't been doing a good job in the relationship or make him feel inadequate. This is why it's important that you and your partner understand how to approach this type of discussion. It's not a good idea to express your needs in the relationship during an argument. 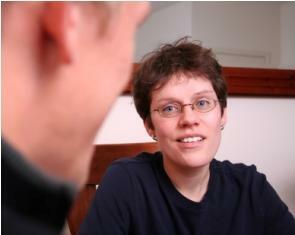 During a heated discussion, neither partner is actively listening and needs will go through one ear and out the other. The best way to open lines of communication about your needs is to bring it up in a calm atmosphere. Start off talking about all the things you love about your partner, how much he provides you and how you want to improve your relationship to ensure that you both stay happy and satisfied. The key is to make sure you include your partner's happiness in the discussion or it will seem as though you are attacking him with your wants and not considering his. Begin with a warning that this discussion is not to offend your partner for not doing whatever you need him or her to do. It's only to show your partner what more you want out of the relationship. This is the same for you too. Try not to become hurt if your partner tells you that you aren't doing something that you feel you do well enough. So no one feels as though one is asking for more out of the relationship than the other is, decide to make a list of five, ten, or as many needs you want out of the relationship. You can either do this list together or do it alone and come back to the discussion later. Once the lists are complete, discuss each need and exactly what each person expects - this will lessen the risk of any misunderstandings. Once you are both clear on the expectations, it's time to follow through. Keep in mind that these needs may not be temporary, so you might have to look over the list from time to time to make sure you are continuing to provide the needs your partner desires. Couples don't always agree on what is a need in a relationship. Some people are unwilling to do something because they either don't feel comfortable doing it or they are not able to for some reason. If this comes up in your discussion as you're expressing needs in a relationship, it's important that you both keep an open mind and compromise. If a discussion of the needs becomes heated and turns into an argument, take a break from it for as long as each of you needs to feel calm again. If you're unable to compromise on a need, you may need to consider if you will be able to live without it. If you or your partner absolutely cannot live without the need because it ruins the happiness and satisfaction in the relationship, couples counseling may help you work through it. Click on the image below to print two lists that you and your partner can use. If you need help downloading the printable, check out these helpful tips.